As city´s go, Vienna is quite a small one. Fewer than 2 million people live there. Yet when it comes to music, it still offers just as much variety as many larger cities do. 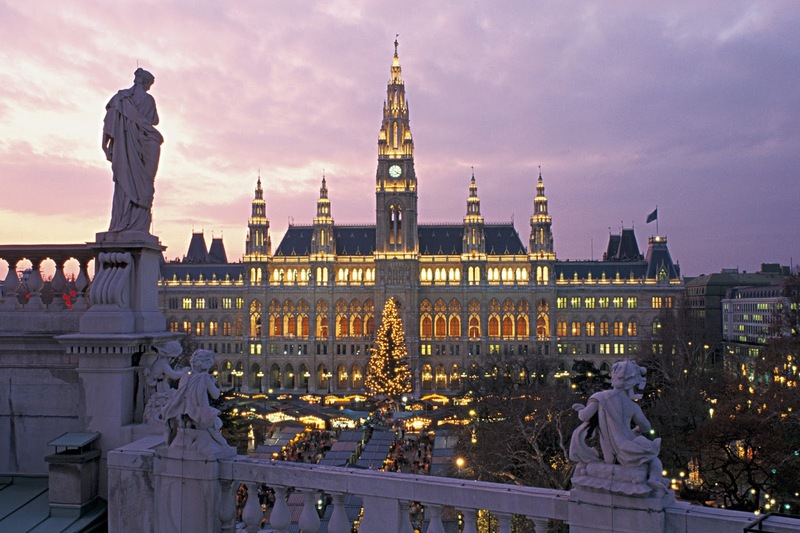 You can find everything from live rock bands to classical concerts in Vienna. Virtually every genre of music is represented here and there are some interesting venues in which to enjoy performances. Around New Year´s Eve, special operatic performances are held outdoors, in the Karajan-Platz. If you do decide to go, you will have to wrap up warm. But, it is clear from the reviews that they offer a truly magical experience. Throughout the year members of the Vienna Philharmonic and State Opera orchestras join forces to put on a performance in this amazing concert venue. The acoustics are wonderful and the golden hall is impressive, to say the least. Plus, the members of the two orchestras dress in period costume to whisk you back to a time when Vienna was the global centre of classical music. The church of St. Charles Borromeo is a beautiful baroque church. So it is the perfect venue for an evening of baroque music played using instruments from that era. It is a truly unique experience that you will not forget quickly. This is not strictly a live music venue. It is, in fact, a museum that is dedicated to music. The first floor covers the history of the Vienna Philharmonic and includes a large seated area with a video screen where you can watch this iconic orchestra perform across the decades. On the 2nd floor, you get to interact with exhibits that teach you about the physics of sound and music. On the third floor you can learn about Vienna´s many famous composers and musicians. The great thing about Vienna is that modern musical tastes are also well catered for. As you will see when you visit the city, the Viennese have eclectic tastes. For many years now, Flex has been the place to head to for indie-electro. The club is located in a disused tunnel that runs under the Danube. It has been entertaining revellers since the 80s and looks set to go on doing so for many more decades to come. This is a relatively new venue that is located just outside the city. It is a great place to head to for lovers of disco and electronic music. Right now, it is still easily accessible to the general public, but after-show parties are starting to book the venue on some evenings. So, it could quickly turn into an invitation-only club. The above is just a taste of what Vienna has to offer music lovers. Every year, several music festivals are held in the city.